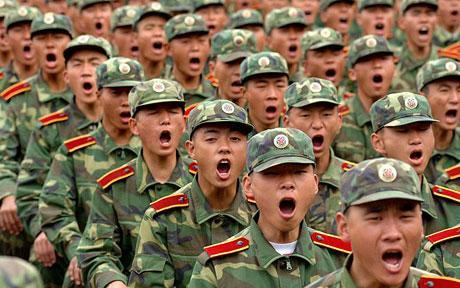 Spending more than US$100 billion and employing more than a million professional soldiers, the military of China is a behemoth. Read how a recent white paper outlines China’s military strategy. The army has a total of 850,000 officers, while the navy and air force have a strength of 235,000 and 398,000, China said in its defense white paper. The paper also criticized the US’s expanded military presence in the Asia-Pacific, saying it had exacerbated regional tensions. China’s defense budget rose by 11.2% in 2012, exceeding $100 billion. The defense white paper, China’s 8th since 1998, emphasized China’s “unshakable national commitment… to take the road of peaceful development”. However, it highlighted “multiple and complicated security threats” facing China, and China’s need to protect its “national unification, territorial integrity and development interests”. The white paper reveals details of China’s military structure. According to state-run news agency Xinhua, this is the first time such information has been disclosed publicly.